The Tamashii Pickup reveals for the months of June & July have gone up through the Tamashii Nations website. And this month’s reveals bring us only one toku toy, but it’s certainly a good one. Hailing from the series Ultraman Ginga S is Ginga’s partner, S.H. Figuarts Ultraman Victory! Born from the powerful Victorium Stone, Ultraman Victory has the ability to Ultrans, gaining the powers of certain Spark Dolls in his right arm as a result. The good news is that the Victory Figuart can apparently replicate this ability. 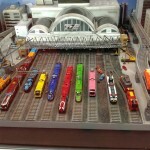 Though there’s only two Ultrans shown off, they’re both pretty big winners. We now know that Victory will include the EX Red King Knuckle as well as the Shepherdon Saber! This is of course thanks to scans popping up from this month’s Figure Oh, which of course also confirms a June release for Victory at 6480 yen. Victory is also a retail release. Could Ultraman Ginga or perhaps even Ginga Strium be on the way to accompany Ultraman Victory? Time will tell, and we’ll let you know if it does! 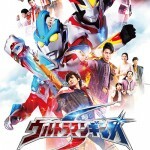 New Trailer for Ultraman Ginga S Online! Another new preview for the second season of Ultraman Ginga has hit the web. Sadly the official streaming version is region-locked but a helpful fan has reuploaded the preview RIGHT HERE for all Ultra Fans to enjoy! 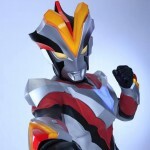 “Ultraman Ginga S” hits the airwaves on July 5th! Stay tuned to TokuNation until then for further details! Discuss on the Tokunation Forums› Views: 12872 › Credit: Forum moderator "Baltan II"
A brief preview for the second season of Ultraman Ginga- reclassified Ultraman Ginga S is now online! This gives our first look at the new hero Ultraman Victory in action! Ultraman Ginga S will begin on July 5 2014! Until then, stay tuned to TokuNation & keep up to date on all Ultra details! Ultraman Victory Magazine Scans Showcase Ultra-Kaiju Powers! 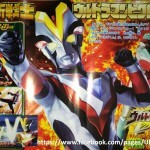 One last round of magazine scans for the month of May, highlighting the upcoming new Ultra Hero- Ultraman Victory! 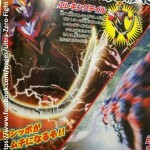 These scans give us a closer look at Victory’s powers- the ability to summon Ultra Kaiju using his “Victory Lancer” weapon. Victory can also transform his limbs into weapons based on pieces of the Ultra Kaiju. We will see the full extent of Victory’s powers when Ultraman Ginga S returns to the airwaves this July! Until then, stay tuned to TokuNation for further Ultra details! 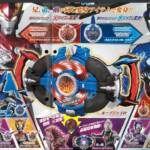 Ultraman Ginga S Toy Scans- New Figures & Weapons! A new catalog scan has turned up online & gives us some new details regarding the second season of Ultraman Ginga! *The new hero Ultraman Victory is heavily featured in this new merchandise, receiving two new roleplay weapons: the Strium Brace transformation device and the Victory Lancer weapon. *Victory’s special ability is revealed through the new action figure series, “Change Victory.” The new Ultraman can summon and transform various monster limbs for new attacks. The Change Victory action figures are said to be similar to Kamen Rider Gaim’s “Arms Change” series, something Ultra collectors may enjoy! The tremendous variety of materials suggests a promising future for Ultraman! Stay tuned to TokuNation as we keep you up to date on this exciting second season! A lot of exciting news for fans of the Ultraman series. It has now been officially announced that the next Ultraman series will be Ultraman Ginga S, a sequel to Ultraman Ginga, and will feature the new hero Ultraman Victory. The new hero will be played by Uji Kiyotaka, best known as the actor who played the role of the Unicorn Zodiarts in Kamen Rider Fourze. For fans of Power Rangers, beloved director and executive producer Koichi Sakamoto will be taking the helm as the main director for the series. His last job was none other than director for Zyuden Sentai Kyoryuger, which is being adapted as Power Rangers Dino Charge in 2015 on Nickelodeon. Ultraman Ginga S premieres on July 15th, 2014 and will consist of total of 16 episodes broken down in to two halves of eight episodes each. What are your thoughts on that crazy helmet design? Or the suit in general? Are you looking forward to the series? Discuss away on the forums! Today we received our first official image of this new hero! Although most of the suit is obscured, we can see certain impressive details- including a consistent “V For Victory” theme. 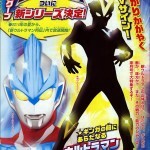 The exact details of the series have not yet been revealed but Ultraman Victory should make some appearances with current Ultraman Ginga during the “New Ultraman Retsuden” special programming over this summer. Stay tuned to TokuNation for further details! !